It’s a good thing I like to write. I’ve been doing a lot of it lately. Things on Passable are as busy as ever, with lots of interviews being posted recently. 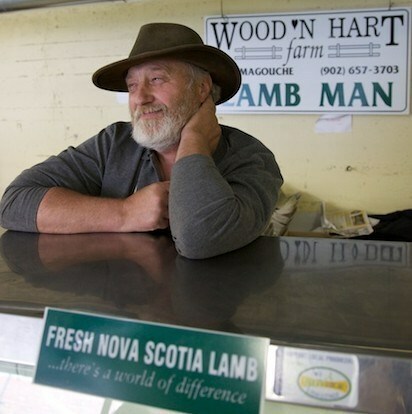 I spoke with Bill Wood from Wood’n'Hart Farms for Passable. Wood was charming to say the least.I also interviewed him for an upcoming story I did for East Coast Living Magazine which will come out this spring. I recently wrote an article for East Coast Living about citrus fruit, featuring “Feisty Chef” Renée Lavalée. I also recently interviewed Peter Boudreau, the owner of The Fish Shop at the Seaport Market. On the less-than-local side, I had the chance to interview Daniel Klein, the creator of The Perennial Plate. Based in Minnesota, Klein is a former chef (he has worked in kitchens owned by Thomas Keller, Heston Blumenthal, to name a few) who decided to tell stories about food and the people who bring it to our kitchens. The thing that struck me the most about Klein’s site is that his philosophy towards eating locally and seasonally can be done in climes such as ours. Minnesota and Nova Scotia may be miles apart, but winter is winter, and sustainability is the same thing no matter where you put your fork. I also recently wrote a cover story for Gaze Magazine. You can check out the latest issue online here or find it for free at various retailers in Atlantic Canada. I’m currently working on a number of new projects for Passable as well as East Coast Living and a few other projects I’ll keep you abreast of. Stay tuned!